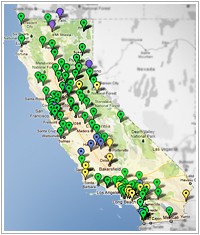 Find information about the court system in California, lawyers, legal aid and other legal help from your court. Learn how to prepare to go to court, research the law, and resolve your dispute without having to go in front of a judge and get information and resources on other legal topics that are not covered elsewhere in this Online Self-Help Center. This section explains how the court system works, what types of cases California courts deal with, and what kinds of services your courthouse has available to help you. You can also find helpful information on how to represent yourself in court and how to use court forms. How to find legal help, from finding your own lawyer, to legal aid or low-cost legal help, to legal help from your court. Also learn about cost-efficient and effective ways to hire a lawyer, and resources in your area that can help you handle your legal case. Find out what to do before you file your case, how to file papers in court, and how to handle important parts of your court case like discovery, or going to court. Learn about topics that are common to all court cases, like court fee waivers or serving legal papers. Learn how the law works and how to find and use the law that applies to your case.